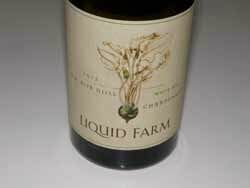 Liquid Farm was founded by Jim and Nikki Nelson, who were fans of lower alcohol, earth and mineral driven Chardonnay from cool climates with little or no oak, typical of old world wines. To replicate those wines in California, they were drawn to Sta. Rita Hills in Santa Barbara County because of its unique, ancient soils, and the home of potentially great Chardonnay. The name of the winery is related to the fact that wine is a product of the earth and the human touch: above ground/ below ground liquid from farming. The label depicts a dandelion, drawn by a UK artist, Val Littlewood, in keeping with the above ground/below ground theme. Nikki has a Bachelor's degree in Wine and Viticulture from Cal Poly San Luis Obispo and works for The Henry Wine Group. Jeff has worked in sales and marketing in Southern California for some of the top Champagne and Burgundy houses in France. They were married at Kessler-Haak Vineyard. Their consulting winemaker is Brandon Sparks-Gillis of Dragonette Cellars. Four barrels of Chardonnay were produced in the inaugural 2009 vintage. 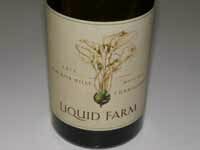 The winemaking philosophy is to create a house style among the 3 Chardonnay bottlings they produce. The wines are modest in alcohol with preserved natural acidity, are not manipulated or acidified, subject to natural malolactic fermentation, and aged in neutral barrels. Three Chardonnays are offered in 2012: "White Hill," "Golden Slope," and "Four," each with their own distinct profile.